My latest pick is a treasure trove of information about the early days of W-H-O Radio, Des Moines, Iowa. 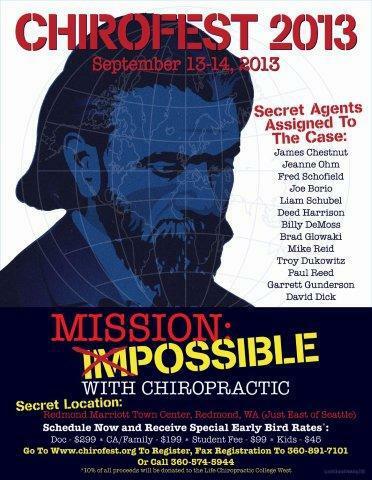 W-H-O was the second radio station purchased by the Developer of Chiropractic, BJ Palmer. 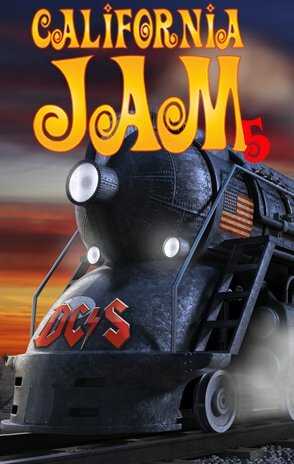 It is also where Dutch Reagan got his start in show business as a radio sports announcer. After some motion pictures and a governorship, Ronald Reagan landed the gig as the 40th president of the United States. 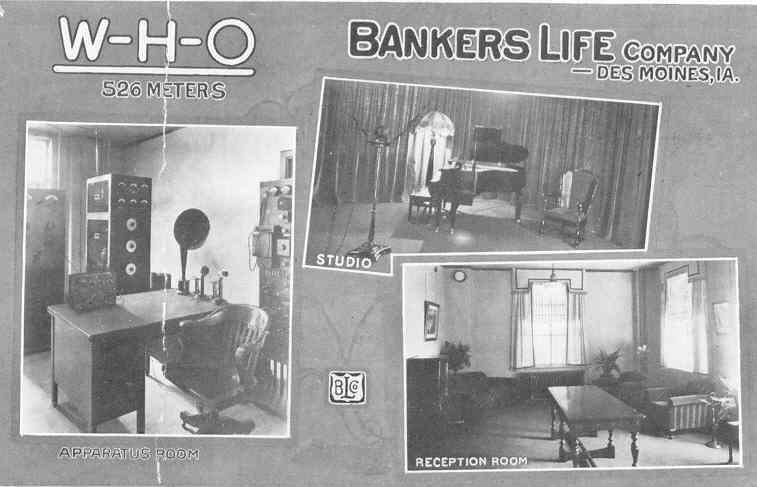 I found a compilation of newsletters bound in a book entitled “Our Home Office.” The newsletters originated from Bankers Life Insurance company, the original owners of Station W-H-O. The book contained the very first issue of Our Home Office, published April 1, 1927, and then continued biweekly, through November 15, 1930. Bankers Life president, Gerard Nollen, stated that the purpose of the newsletter was to “promote loyalty and enthusiasm” among his employees. I got the sense while reading through these newsletters that Nollen would have been a good person to work for and that he encouraged his team to use their talents. The building of Bankers Life had twelve floors and contained a wealth of talent. Employees Dean Cole and Jack Whitney became well-known announcers on W-H-O. 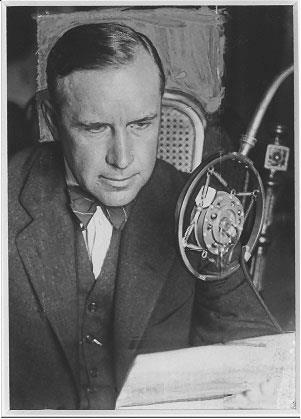 Cole was the first voice to be heard on W-H-O’s airwaves when it first broadcasted in 1925. Other employees formed groups that became featured musical talent in the programming. The Warbling Trio, a group of young men from the policy department, first performed at a Bankers Life Christmas party. They were so well liked the harmonizing trio was put on the radio and became an instant W-H-O hit. 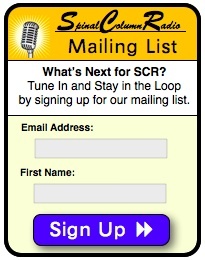 In the early days of radio, some stations had to share the same wavelength. Consequently they were forced to divide their airtime with other, sometimes competing, stations. So while your radio set might have been tuned into one particular channel, depending on the time of day, the station you received could have differed. On June 15th, 1927, under a new license, the Federal Radio Commission gave W-H-O undivided rights to a higher wavelength. 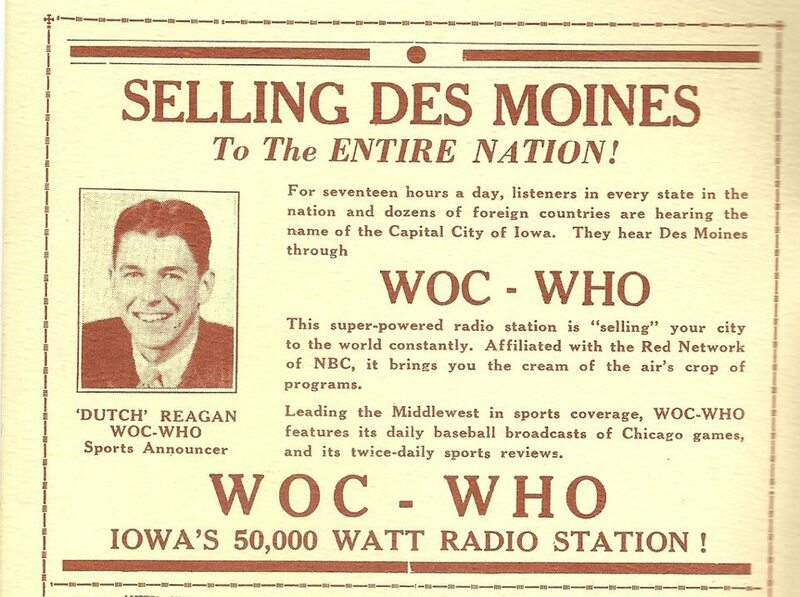 More power meant the voice of W-H-O would reach far beyond Des Moines. The August 15, 1927, edition of Our Home Office announced that W-H-O would receive Red and Blue Network Programs of the National Broadcasting System (NBC). Linemen were busy stringing wires eastward to Chicago to enable listeners to receive the popular programs of NBC such as the Crossly Hour, The A & P Gypsies, Philco Hour, and the U.S. Playing Card Company program. This “Voice of the West” was now receiving famous voices of the “East.” Soon more musical and sport programs of NBC were added to the roster including the Goodrich hour, Palm Olive Peet Hour, and U.S. Marine Band Entertainments. However, by September 1928, the Federal Radio Commission announced plans to reallocate W-H-O. The station’s strong signal that reached wide audiences was now in jeopardy. 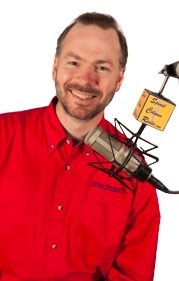 Nollen went on the air September 14th and 17th and explained the situation to his listenership. Not only did this mark the first time the station had asked for listener support, but also the first time listeners had heard the voice of the Bankers Life president, himself. 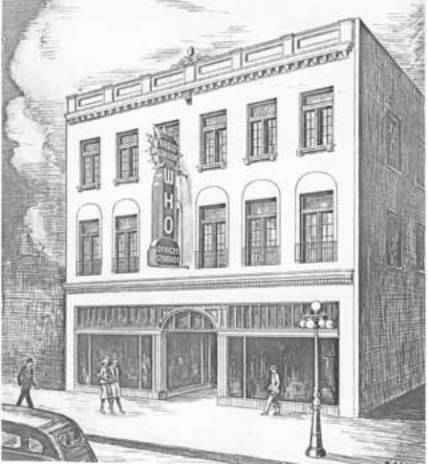 Thousands of letters supporting W-H-O were sent to the station and forwarded to the Federal Radio Commission. Notwithstanding, the reallocation proceeded, forcing W-H-O to downsize their antenna by November that year. As part of the new regulations W-H-O had to share its signal with competitor station W-O-C. A schedule of airtime allocation was arranged allowing W-H-O to air its programing on the odd hours of the day and W-O-C on the even. The schedule was set to reverse week to week. Unfortunately, this compromise of split-airtime scheduling ended up being chaotic and unsatisfactory for patrons of both stations for a number of reasons. On February 13, 1930, Bankers Life president, Gerald Nollen, took to the air again and announced that W-H-O was in negotiation to be sold. And so it went: The W-H-O and W-O-C merged to become something better than before and the Central Broadcasting Company was born. In my attempts to recount accurate history, as The ChiroPicker, I strive to seek out original sources whenever possible and recommend other budding pickers follow suit. It is for this reason I was particularly attracted to the bound book of Our Home Office newsletters. Des Moines attorney, George E Brammer, was the president of the Central Broadcasting Company at the time. 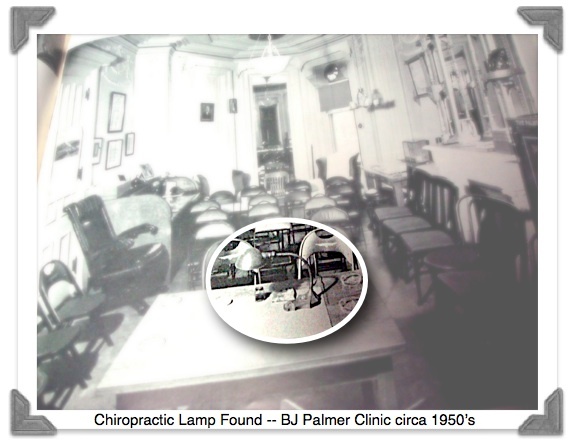 The papers stated that Brammer was taking over W-O-C formerly of the Palmer School of Chiropractic and W-H-O formerly of Bankers Life. A 50,000 watt antenna was planned to merge the stations and make it one of the most powerful stations in the country. Frank Elliott, DC, a relative of BJ Palmer’s wife, Mabel, was programming director of the stations and became president soon after the takeover. BJ and son David later stepped in and became the Central Broadcasting Company’s long standing president and vice president. That’s what listeners heard from Station W-H-O when it went on the air in April of 1924. George Kuhns was the president at that time; Gerald Nollen would later follow. And while self-promotion was certainly part of the equation for their turning on the mics and powering up the tower, they also took an interest in public service. But public service can only go so far. In the early days of radio, all of the costs of a station’s operation were bore upon the owner — advertising dollars were not permitted. 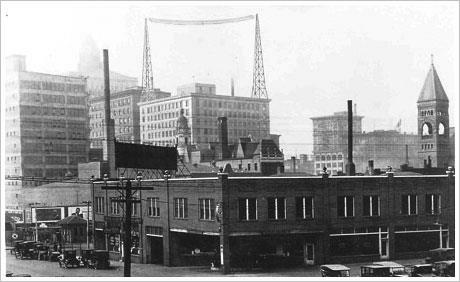 The Federal Radio Commission would lift this ban as the nation’s economy plummeted into the Great Depression, but not nearly in time for Bankers Life. By the end of the 1920’s they had lost $600,000 with their radio venture (a considerable sum back then). 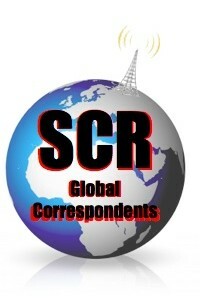 This — combined with the unsatisfactory, split-time schedule compromise with WOC for clear channel transmission — made the selling to the Central Broadcasting Company (CBC) a slam dunk. And, in fact, my research finds that it WAS BJ Palmer who was behind the CBC. He was not the president in its early days, but the founder and one who ultimately controlled it. After all, it was he who was able to secure the bank loan at a time when the country had just hit rock bottom and his educational institution was sitting in receivership — but then again, leave it to BJ of Davenport to pull something like that off. Under control of the CBC, WHO took to the air with new direction the very next day following Nollen’s broadcast — Valentines Day, 1930. For three years, WOC and WHO operated synchronized transmitters, and thanks to telephone lines, were able to carry the same programming. Then, in April of 1933, operations were merged and the two stations shut down their transmitters in favor of a single more powerful one. 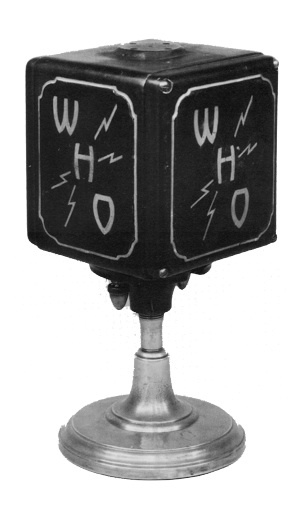 The station operated under the dual call letters WOC-WHO — a practice that would continue until November, 1934, when the WOC letters were dropped, and the station would simply be known as WHO. With advertising restrictions lifted, Radio, for the first time, began to show promise of making money. 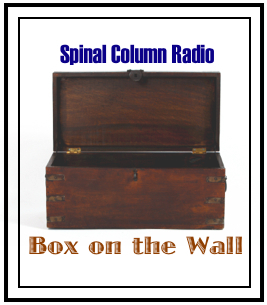 It has been said, that it was Radio that saved the financially failing PSC in the dark days of the Depression — something we chiropractors should all tip our hats to. I also understand that because of the financial success of Palmer’s Radio enterprise, he was able to keep PSC tuition affordable for years to come. Even so, I’ll be honest, as much as I love chiropractic’s connection with radio (as my listeners can surely attest), I’ve never really felt much for the WHO. I’ve always been partial to Station WOC. Maybe it was because WHO wasn’t perched atop the Palmer School of Chiropractic in Davenport like its adopted sister station …. but rather 150-plus miles away in the large metropolis of Des Moines. Maybe it was because WOC had chiropractic programming and was such an integral part of the school. Maybe it was because WOC had a song written about it. Maybe it was because, Palmer’s mansion doubled as a second studio for their church service broadcasts. It’s hard for me to put a finger on. Sure, WHO had BJ’s oversight. After all, he let it be known that the call letters stood for “With Hands Only” (or as one source said: “We Help Others”). 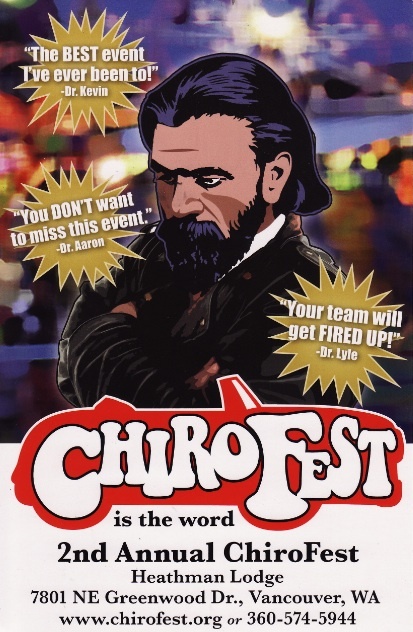 Nevertheless, the acquisition of WHO has always felt more like a business decision to me, rather than a means of creating a “favorable mental receptivity” for Chiropractic to the “unseen audience.” Plus, Palmer’s purchase kind of put a “Monopoly game” spin on it. WHO and WOC would be the first of many radio stations acquired by the Palmer’s in an ever-growing portfolio later named the Palmer Broadcasting Company — an interest that BJ’s son, Dave, would oversee.